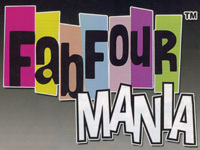 One of the most fabulous shows in Las Vegas is The Fab Four. 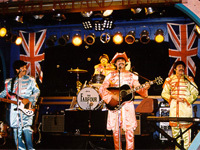 This tribute show offers you the best moments of the Beatles career all over again. You will be shocked at the look of these four performers as they come on the stage. Working hard to observe every possible detail to make them seem more real, this Fab Four is as close to the Beatles as you will come. Another thing that makes this show amazing is that the voices and music that are played in the show are done completely by the men on stage. There are no hidden recordings and there is no lip synching. In this three phase show you will hear songs like Love Me Do, A Little Help from My Friends, Eight Days a Week, Twist and Shout, and I Saw Her Standing There. Of course, these are just a few of the songs that you will hear during the show. This show comes with the option of a VIP package. The VIP package includes admission to the show, special seating, and dinner at one of three excellent restaurants (Lombardi's, Blondie's, or La Salsa Cantina). Seen the The Fab Four Show?